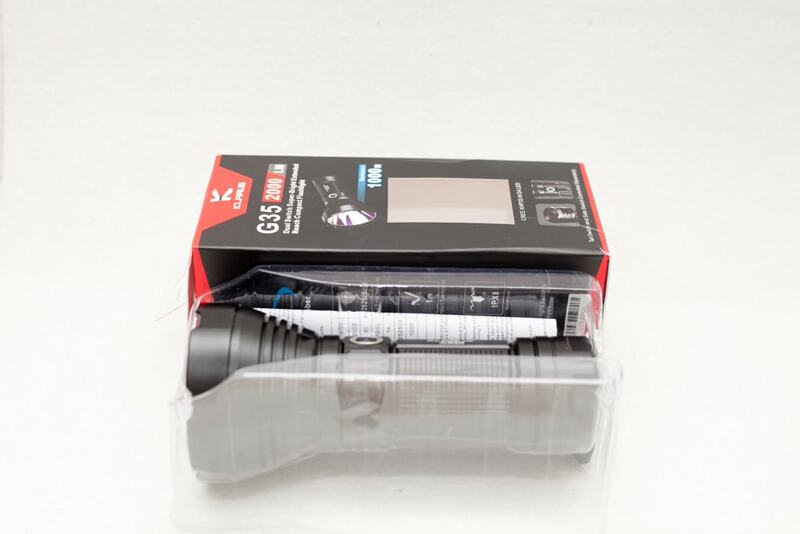 Packaging was fairly standard, including some basic accessories. No batteries or anything special included. 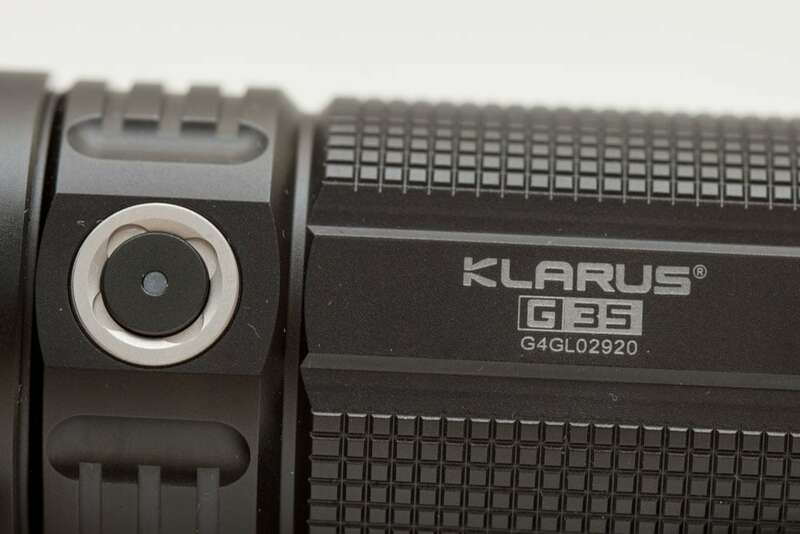 The Klarus G35 uses 2 switches, one on the rear and another one on the side. They are used for power on and power off. But they can both be used to switch modes as well! This is a rather unique feature for this Klarus light. You can hold it with a pistol grip, or just resting in your hand with your thumb on the side switch. You can do it both ways, and with both switches change modes. Pick whatever you prefer. Both of them are electronic switches, which means that you don't have to push hard. When the light is turned on, the side switch has a dim LED lighting up. 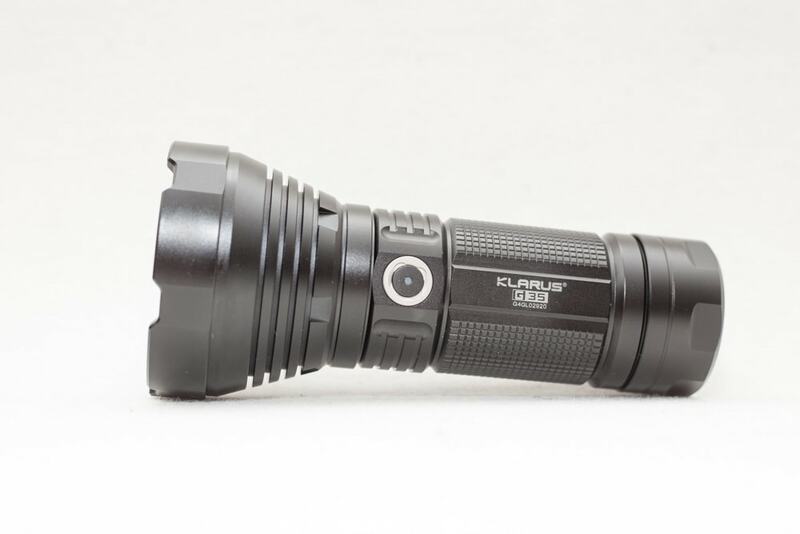 I have had a few Klarus lights, and my very first one, I still own and use sometimes. 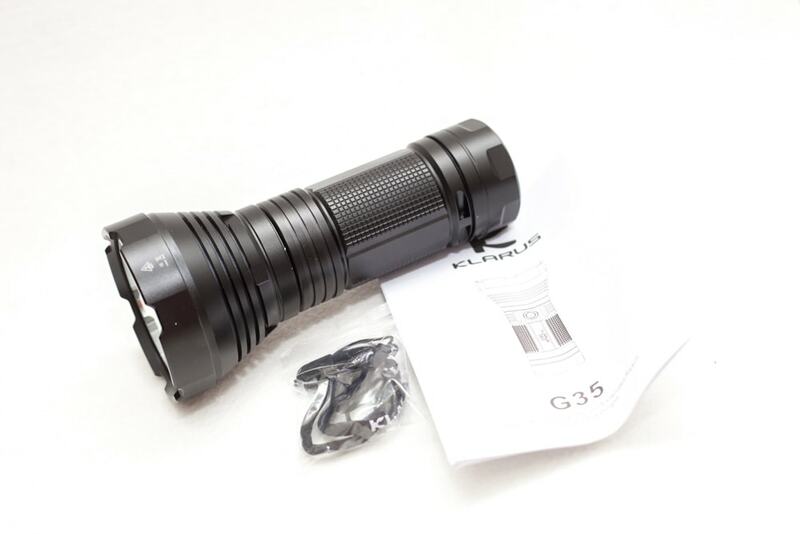 Klarus flashlight unfortunately don't have my favorite type of coating. They are a little on the shiny side. It's hard to explain in words how to notice the difference, but especially the shiny coating isn't my cup of tea. I rather prefer the Jetbeam style coating, like the Jetbeam RRT21 or Jetbeam TH20 I reviewed earlier. Both have softer edges and a different coating. Jetbeam in my opinion has one of the best done coatings. The machining/knurling is done well. The engraving is done very well as well. We can't complain. 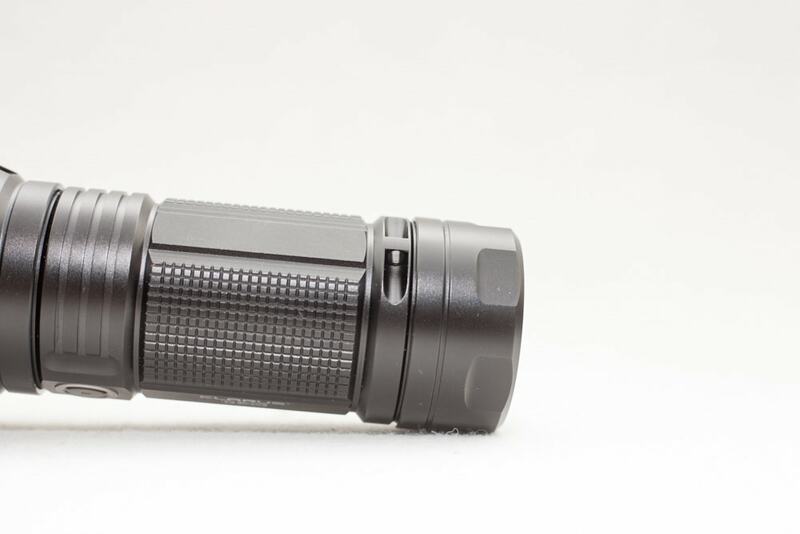 Near the tailcap you can find a small hole that can be used as a lanyard attachment point. 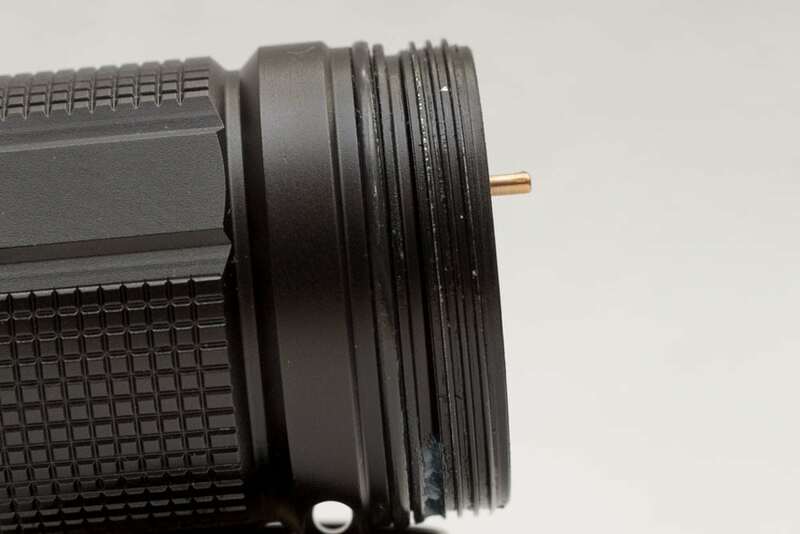 The screw threads are square, and anodized. Good luck trying to screw off the bezel on this baby. It's glued. I can't seem to get any movement whatsoever. 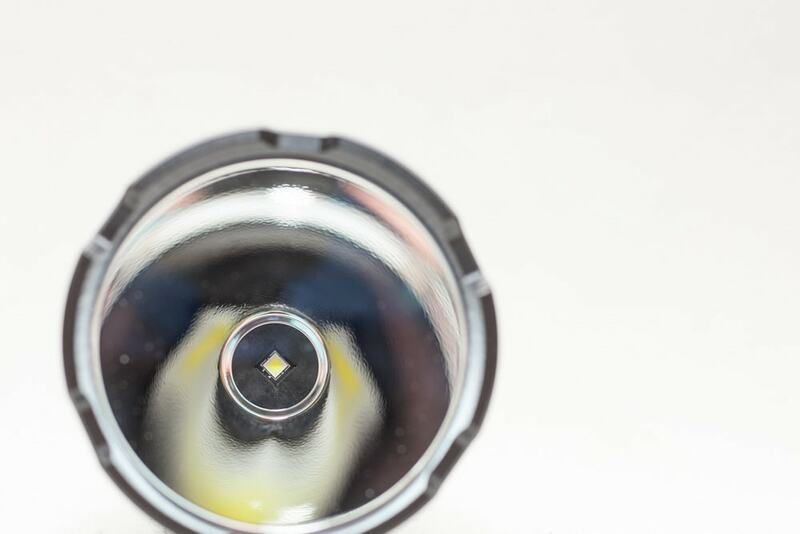 Looking through the coated AR (anti reflective) lens, I can see a smooth reflector with a very slight orange peel finish. If you look at the pictures, you can see what I am talking about. 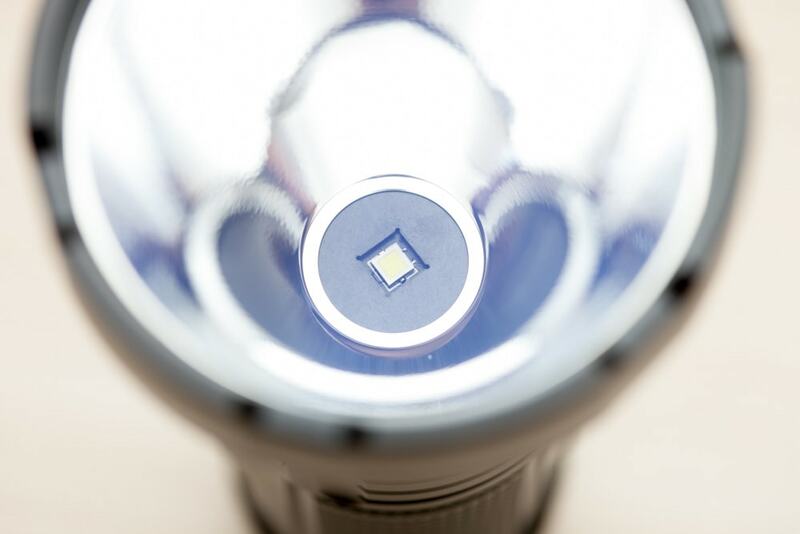 The LED is a Cree XHP35 Hi D4, which means its made to throw. 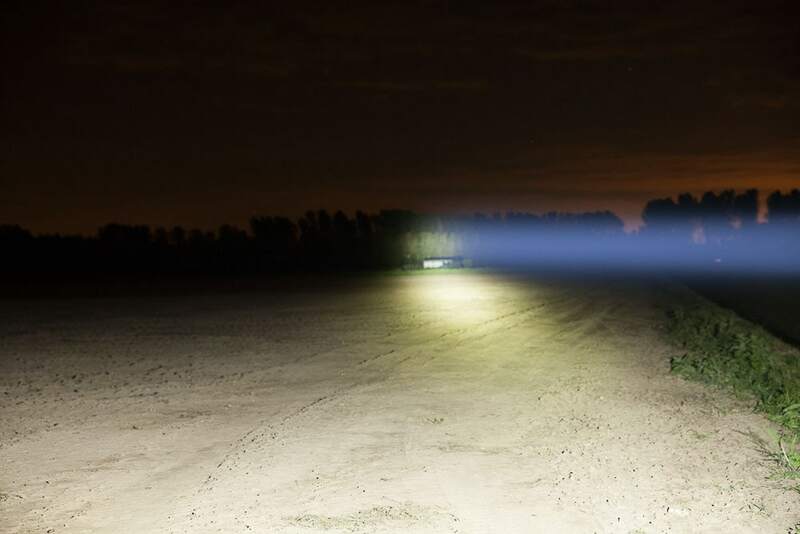 But the size of the reflector and driver don't really help with pushing this light very far out. 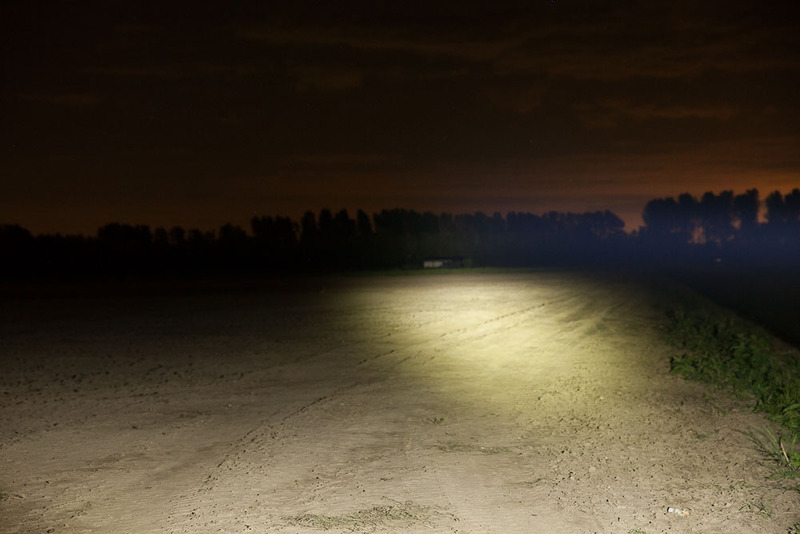 It does reach farther than most other general flashlights, but it's definitely not a winner. More on that in the section below. 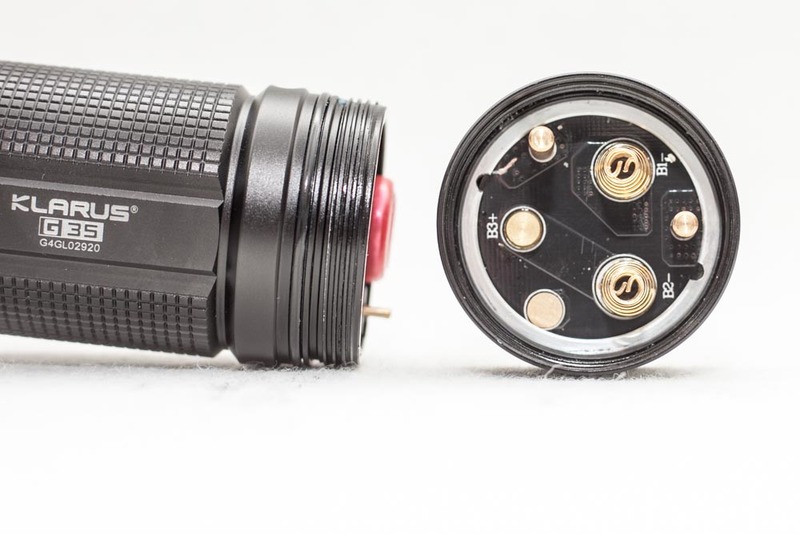 Although the G35 doesn't use a battery carrier, it can be used with 1 and 3 batteries. More on that in a second. You need a manual for this. 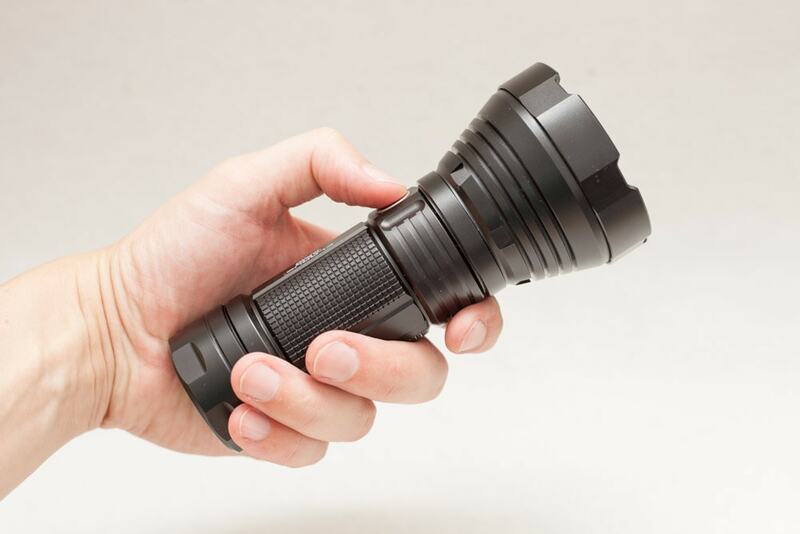 There are certain things that are not very common for a flashlight. One of the things is the 2-button use. The buttons have almost the same functionality, but not exactly. You'll read that below. Long press 2 seconds: Turbo mode, release switch to turn off again. This doesn't work always as expected. Not sure what I do wrong. Yes. When you press and hold the button it will memorize this setting. Turning on the light again will bring it back in last memorized output mode. Press and hold side switch and tailcap switch for 2 seconds. Yes and No. Yes, but you can't use it for signalling. Because when the light is turned off, you can push the tailcap switch and it will turn on in Max... and when you release the button the light turns off again. But you can't do any signaling. After reviewing this light, I might have a dud. The mode switching doesn't work as it should. When I click the rear button, it should run through the program, but sometimes it just shuts off. Also when I want to enter Turbo mode with the side switch, it drops down to a totally different mode. I don't know what is going on. But I will try to send this back to the seller, or to Klarus. I don't really know how they do this. But it can run off 1 battery and 3 batteries. And the specs only show 3V-8.4V. The bezel is glewed, and I am not able to measure it on the batteryside. 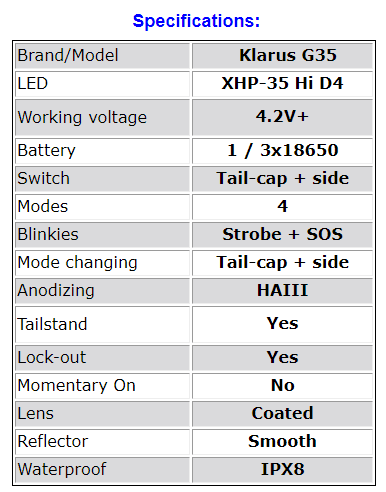 Just looking at the configuration and the actual beamoutput, I am not really that happy with it. 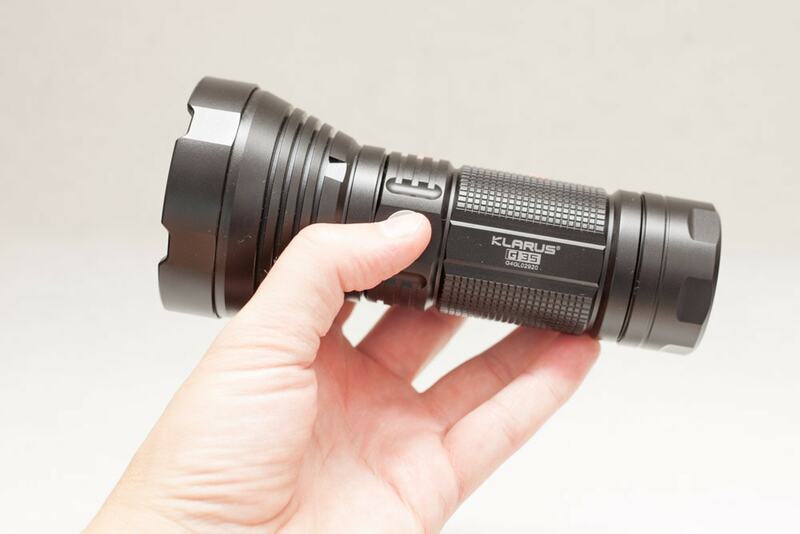 With the XHP35 Hi CREE LED, it is made to throw. So I always start with a 5 meter distance lux measurement, turn into candela. For the measurement I used my cheap lightmeter HS1010A and the batteries I used were Samsung INR18650 30Q. 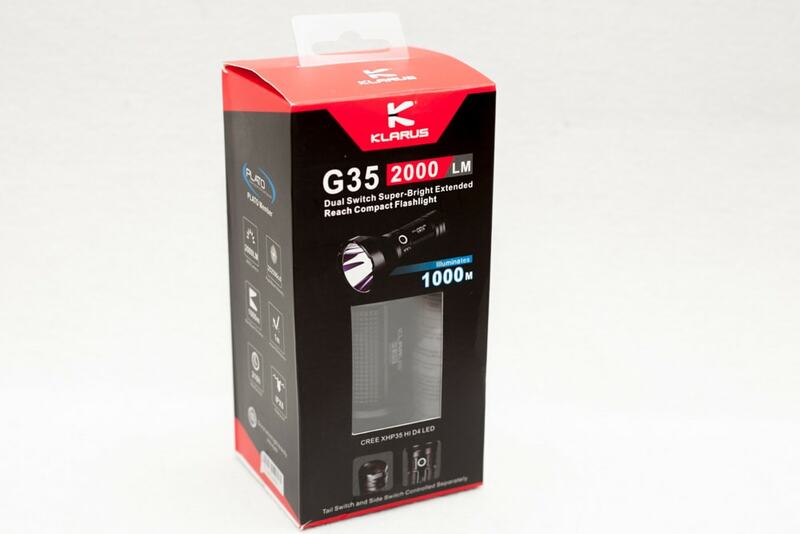 Klarus G35: (658lux) 164500cd or 165kcd. But the specs show 252000cd.. I'm not sure if my copy is just a dud but this is really not that impressive. 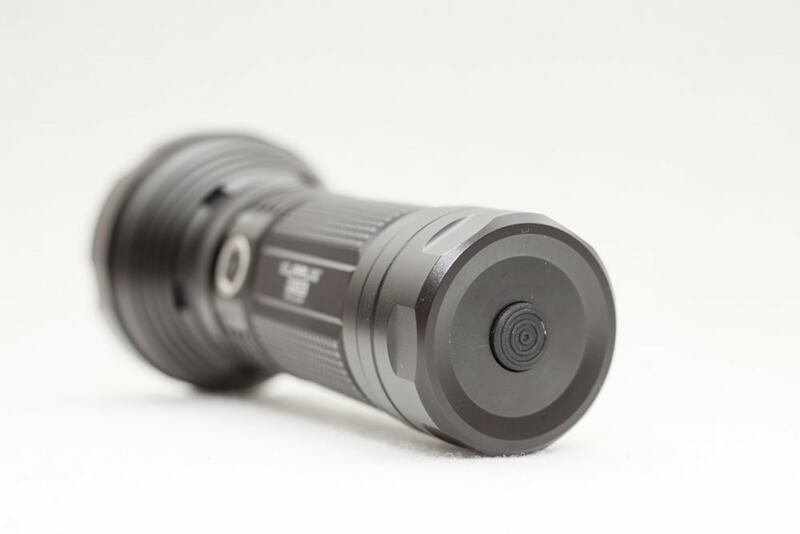 Sure for the average joe it will be a great step forward from a maglite. My light meter isn't the greatest of the bunch either, so it reads a little on the low side. 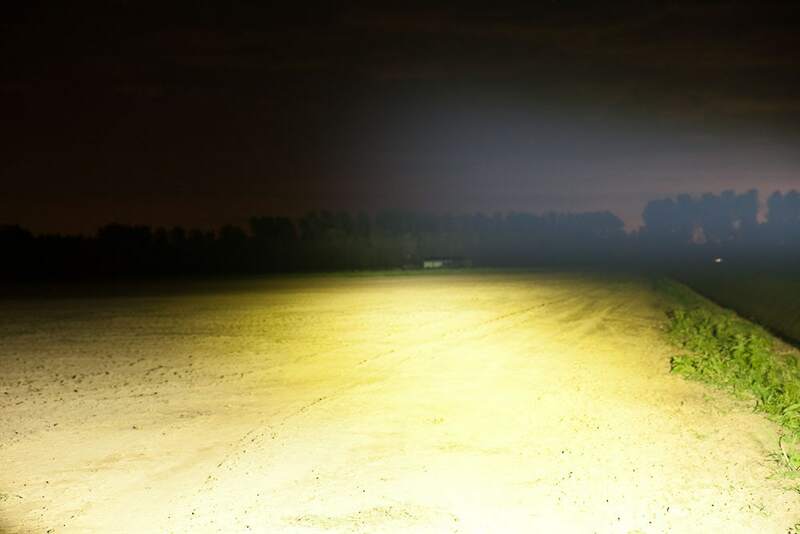 Beamshots comparison between BLF Q8 (flooder), the Klarus G35, Astrolux MF04 and Acebeam K65. 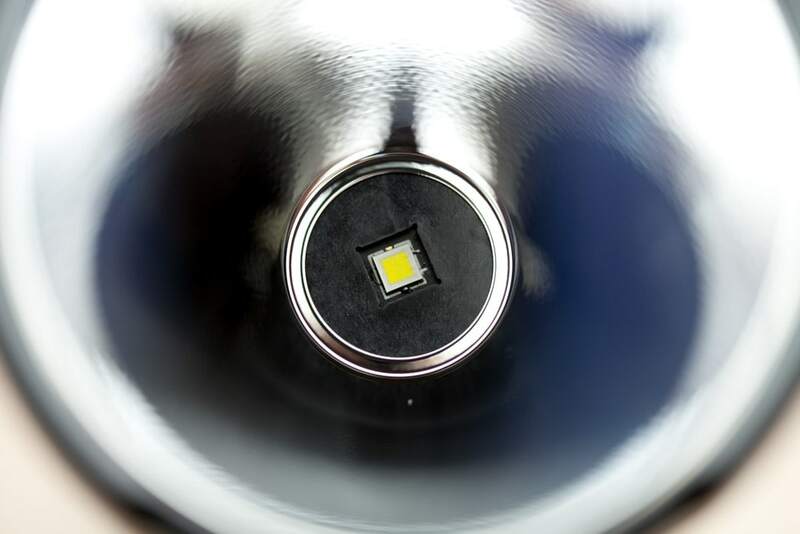 The BLF Q8 doesn't really below in the group of throwers, but I wanted to give you a comparison overview, because many people own the BLF Q8. And therefore have better understanding of the difference. 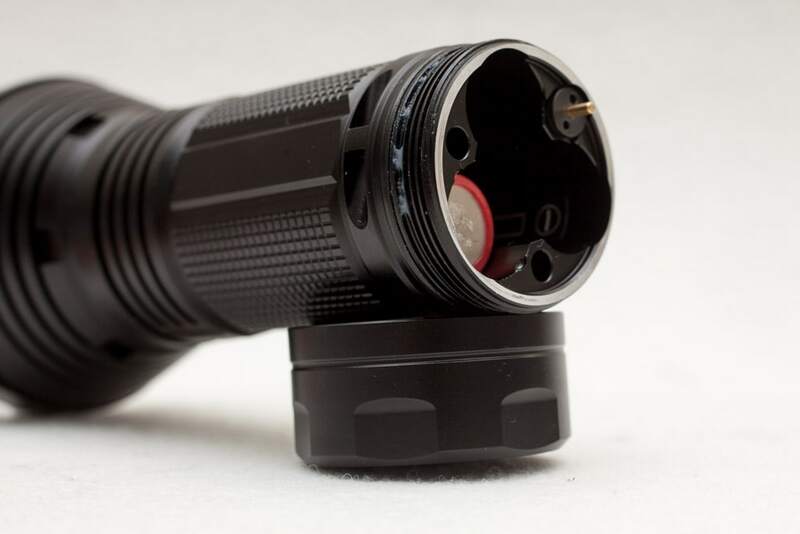 Emergency battery configuration, so you can still use the flashlight with only 1 battery. Claiming 250kcd, but I am only getting roughly 165kcd.